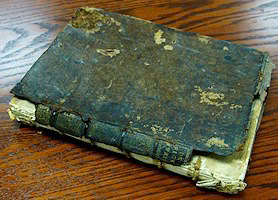 The Preservation Standing Commitee's 2013 Worst Book Contest Winner is University of St. Thomas, Schoenecker Law Library. 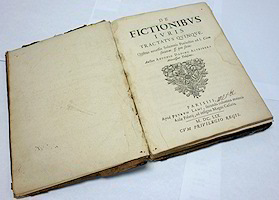 Their entry, De Fictionibus Iuris Tractatus Quinque (copyright 1659) written in Latin, was submitted by Valerie Aggerbeck, Research Librarian. Schoenecker Law Library purchased the book as a last (desperate!) 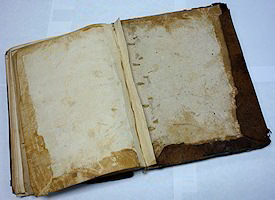 measure for a faculty member even though it was in very bad condition. The faculty member reads Latin and needed the book for his research. The book was not available electronically and another version could not be found. 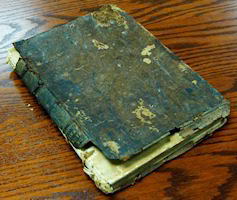 Valerie writes "Even though the book was in bad condition, it cost a pretty penny!" Learn about the 2013-Worst-Book-Contest-Entries (2.8 MB PDF).